Custom designs are a major part of our business. We believe that jewelry is an expression of your personality and you deserve a piece of jewelry that is unique and special as your are. Do you have a picture of a piece of jewelry that you like? Maybe you not sure what you want, but you know it must be special for a certain occasion or a particular person. Did you lose one piece of earring? We can help with these situations and many more. 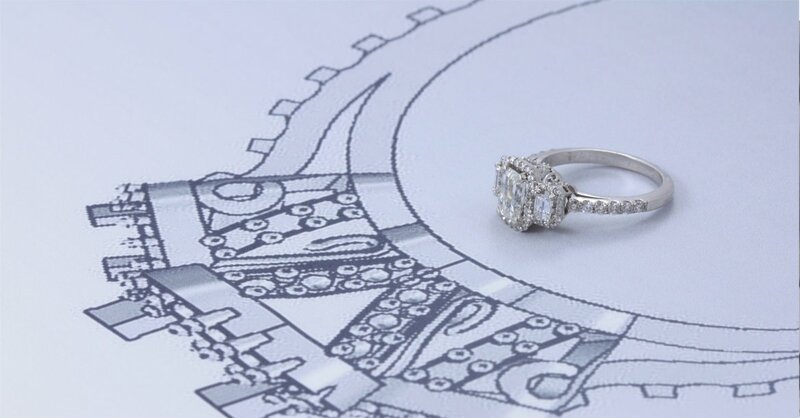 Michael and our team work closely with every customer to design and create a unique high-end piece of jewelry, in-store or online, to your specifications using old school experience with the latest design software and production technology. Over 40 years of experience in the industry and our state-of-the-art equipment we will create a piece that brings a vision to life. Most importantly, because we create jewelry on our own premises, customers always get exactly what they want, when they want. 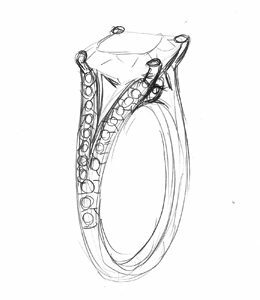 The custom design process begins with consultation where you choose your design, gemstones and metal quality. Than we assist your ideas to sketch. To help you envision what it will look like, we will do a rough draft in front of you from scratch based on your ideas, stories and descriptions. You will review the sketch, make necessary adjustments prior to moving onto the next step. How long can pieces take to be made? Once you approve and choose a design, we will be able to provide time frame and quote for the finished product. The timeframe to create a custom piece can vary from one to eight weeks, depending on complications of design and availability of supply. 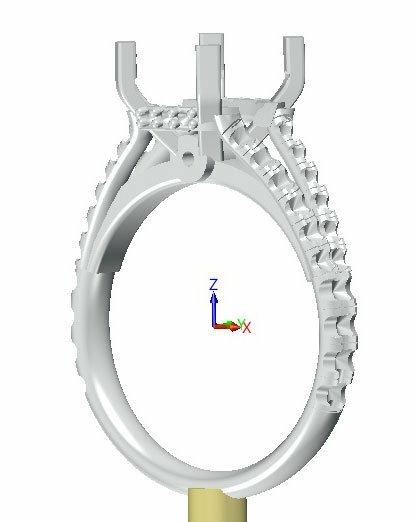 After the sketch is approved by you, we will begin to bringing your design to life. 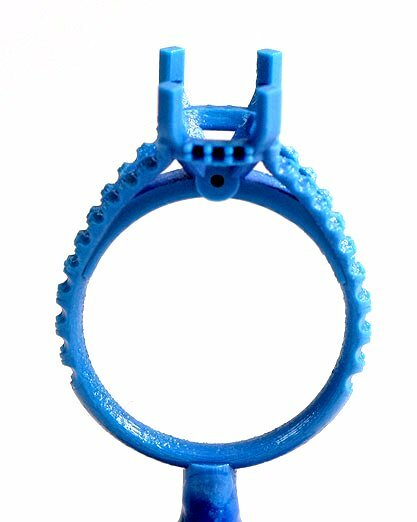 We will either use Computer Aided Design software and production technology to grow detailed model for your piece, or hand carve a wax model. Diamonds and gemstones can be laying into the wax prototype during this stage in order to provide you with a replica of your custom piece. We will cast the piece of jewelry and spend days hand-setting the gems under the microscope to ensure security and perfecting the finish. Each piece to us is a piece of art and the time and care we give to our custom-process is reflected in every finished piece! 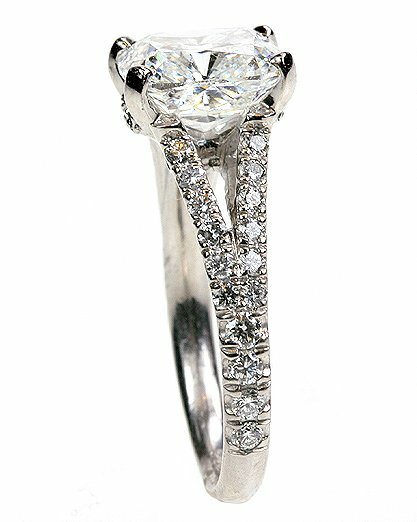 Michael’s years of experience and passion for jewelry craftsmanship allows him to create a masterpiece as an old world artist without the use of computers or digital techniques, or he can use any technology available in today’s modern world. Our complete manufacturing facility on premises has the latest technology and equipment such as different casting equipment, polishing machines, precise microscope and laser welder for all jobs involving welding of gold, silver, or platinum. The precision of this tool makes it possible for us to complete a jewelry work without endangering the gemstones or other custom details in the piece. Our ideology is to create custom jewelry that you will treasure and be proud to pass down to future generations.